I've never been a fan of Black Friday. My preferred post-Thanksgiving activity is lounging on a couch with a movie and leftovers. I definitely don't want to be anywhere near a stuffy, airless shopping mall crammed with crowds. But, Small Business Saturday is a different story. I love strolling our streets, popping in and out of cute little boutiques, stopping to chat with friends and neighbors along the way. The shopping mall may be packed with big-box retailers, but the walkable shopping district just north of it is heavily peppered with independent local businesses. You can check out a list of the Cherry Creek North shops participating in Small Business Saturday here. With creations by local and national artists, this is one of the best Denver shops for finding unexpected gifts. Inspyre has an extensive collection of women's clothes, accessories and fashion jewelry with nothing priced over $100. I was so excited to discover this little shop this year. 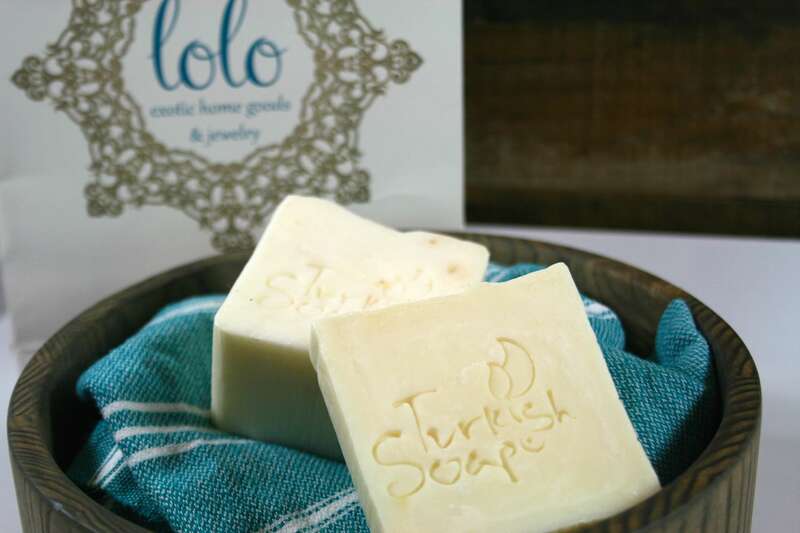 They have a huge selection of Turkish towels -- one of my favorite gifts to give -- as well as bath products and home accessories. You're sure to find a unique handmade gift at this locally owned gallery that carries affordable art by Colorado and national artists. The Golden-based company sells all-natural bath and body products. This Cherry Creek location just opened a couple of weeks ago. Fuel up with a pre-shopping breakfast at Syrup (300 Josephine Street) or post-shopping lunch at Cucina Colore (3041 E. 3rd Avenue). 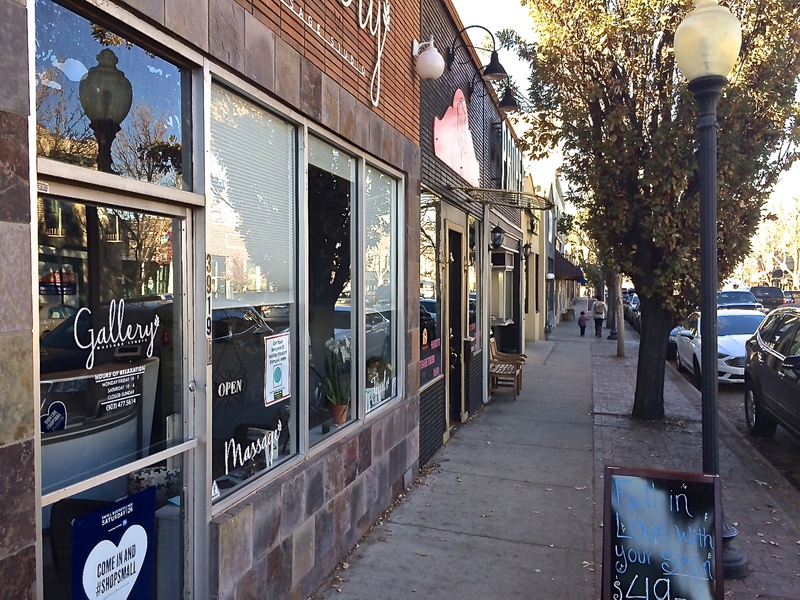 Nestled into Northwest Denver, Highlands Square boasts a walkable mile of boutique shops and local restaurants. This outdoor living shop carries an assortment of clothing and gear for men, women and kids. So much more than just a florist, The Perfect Petal is a great place to pick up a little gift, including candles, bath products and home accessories. This women's clothing boutique rivals any of the department stores in style and selection. One of my favorite local clothing boutiques! 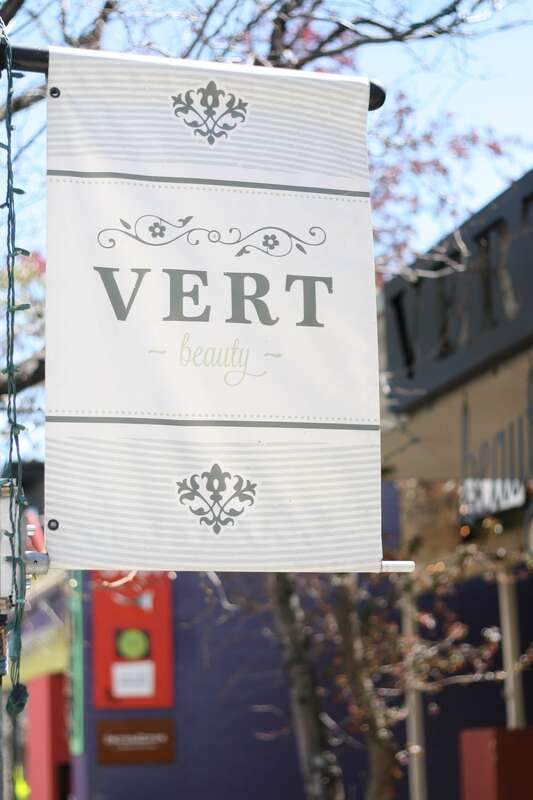 This beauty boutique is packed with all-natural bath and beauty products, including Colorado-made product lines. Grab a quick gourmet sandwich at Frank Bonanno's Salt & Grinder (3609 W. 32nd Avenue), pop into El Camino (3628 W. 32nd Avenue) for a Mexican dish, or stop by Sera's Ramen Enclave (3472 W. 32nd Avenue) for a twist on traditional ramen. If you only come to South Pearl Street for Sushi Den, then you're missing out on so many great little shops (and other restaurants, too). With two shops packed with fun gifts and home accessories, you could get lost in here for hours. I sure have. A sliver of a store, but well packed with stylish women's clothes and accessories. Grab a quick gourmet burger at Park Burger (1890 S. Pearl Street) or enjoy the more extensive menu at Hanson's Grill and Tavern (1301 S. Pearl Street). Trendy RiNo is more than just art galleries, cool bars, and industrial lofts. There's also a number of little boutiques many with a focus on promoting locally made products. Locally made t-shirts and other cool stuff for your favorite hipster. A men's and women's clothing boutique with high-end stylish basics. Not actually in RiNo, but so close and definitely worth a drop-in. These locally made, handcrafted bags are so beautiful, you might just end up keeping whatever you buy for yourself. Grab some sushi as it rolls by at Sushi Rama (2615 Larimer Street) or check out The Denver Central Market's (2669 Larimer Street) buzzed-about foodie scene. In the past five years or so, South Broadway has exploded with trendy shops and a booming restaurant scene. Long before South Broadway was a hip destination, Decade was a draw for shoppers looking for fun little trinkets, unusual gifts and irreverent greeting cards. Billing itself as a "modern mercantile," this carefully curated home and kitchen shop will charm you with its well-crafted tableware, gourmet pantry items, and other home accessories. It's a little further north, but Meininger is such a worthwhile stop...the vast selection of art supplies could inspire the most creatively blocked. And, art supplies make perfect stocking stuffers! Trendy shoes and accessories with nothing over $50. Drop into Karma Asian (22 S. Broadway) for fantastic curries and noodle dishes, or Euro Crepes (1842 S. Broadway) for sweet or savory crepes. It's a bookstore and it's a wine bar. And, all of their children's books are 20% off through December 24. Serious outdoor gear for serious outdoor types. But, you can also pick up practical accessories like sunglasses and Smartwool socks. 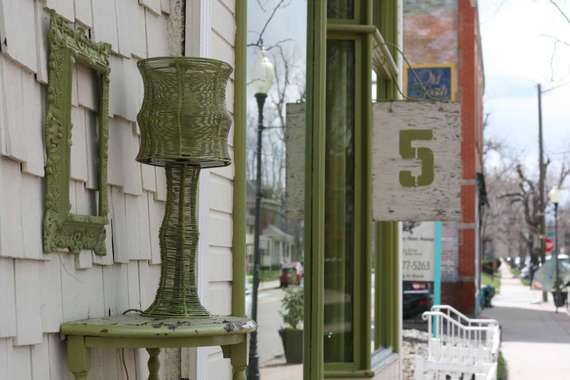 Filled with vintage and artisan-made wares, including a ton of locally made items. One of my favorite stops for gifts! The latest addition to Tennyson Street, this women's clothing boutique carries chic, upscale staples inspired by European classics. A one-stop shop for women's accessories, one-of-a-kind jewelry, scarves and purses. I've yet to walk out of here empty-handed. 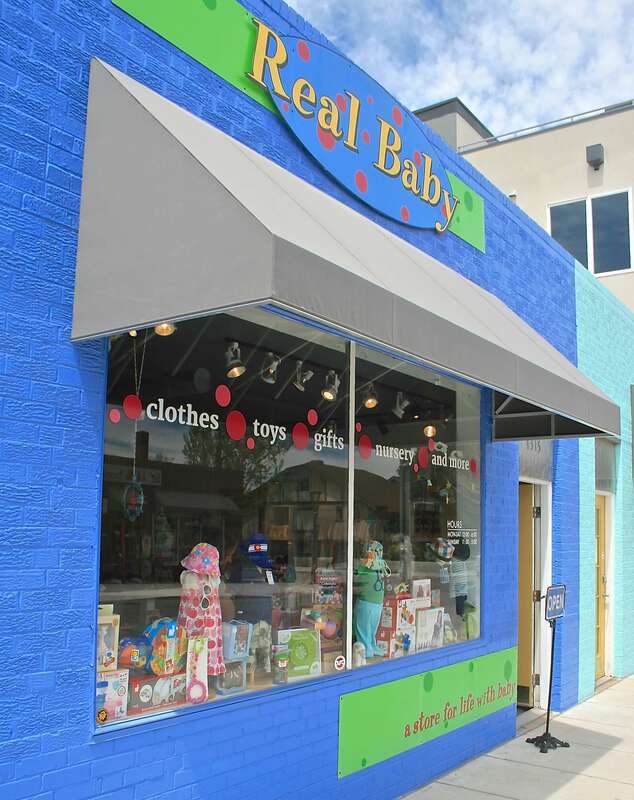 The best place to pick up baby gifts. Plus a small but lovely selection of toys for younger kids. Mas Kaos (4526 Tennyson Street) is one of our favorite spots for groups, and carries many gluten-free, dairy-free and meat-free options, and Justin Cucci's Vital Root (3915 Tennyson Street) has a vegetarian menu that even non-vegetarians love. Hops and Pie (3920 Tennyson Street) offers unexpected gourmet pizza combos and a rotating house-made soup of the day that never disappoints. Small Business Saturday, this year on November 26, was launched in 2010 to encourage shoppers to kick off the holiday season by patronizing their favorite local shops. Heather Garbo is a Denver-based mama of two with a love for all things local. Her blog, www.denverdweller.com, provides inspiration for better local living, including a Denver Shop Local Guide.